If your interested in the paranormal then chances are you’ve played with a Ouija board. Now marketed as a toy it has become a staple of Halloween themed parties and sleepovers, which is where I had my first experience with the board. Excited and apprehensive I sat with three others on the floor ready to contact the dead. As we continued to use the board a name we all knew came through( the aunt of one of the people participating, whom which we all knew well before she passed away). Immediately questions like , “Are you guys trying to be funny?” were asked but then board began to say things that only the aunt would know, the inside jokes that only family could have. It was these kinds of statements that made us believe our experience was real and tears were shed knowing we could talk to a women who treated us all like family. But needless to say we never played with board again. 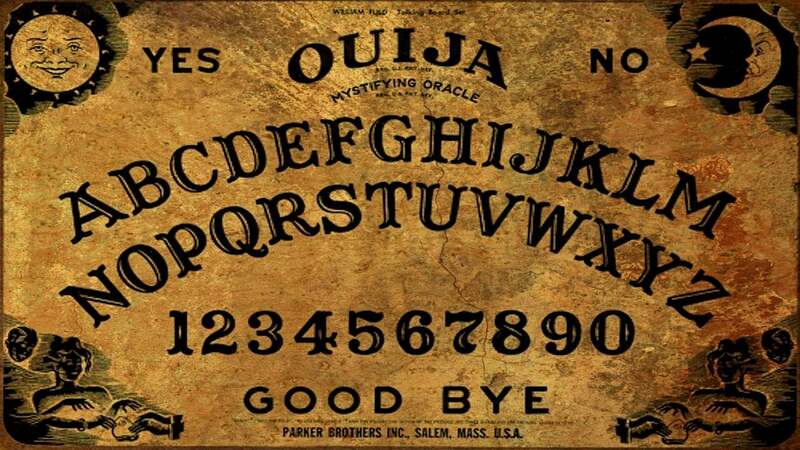 But not all experiences with the Ouija board are as light hearted as the one I had that night with friends. Unlike doing an investigation in which you are traveling to a location with the Ouija Board you are most likely in the home setting. This, in my opinion is what makes the board rather dangerous. It is important to remember that you are inviting spirits into your home and you do not know who you are inviting. In one couples experience they encounter a spirit that claimed it’s name was “Vox” (Latin for The Voice). This spirit became aggressive and sexually suggestive and even after moving out of the house they were still plagued by negative paranormal experiences. So if you are still interested in using the Ouija Board, how can you be protected? Here are some simple but effective guidelines to help you have a positive experience. First, do not use the board in places of tragedy, graveyards or supposedly haunted houses. Places like these can hold negative energy. Next, always maintain a positive mental state and never attempt to use the board while facing illness. When the mind and body are weak it makes it easier for negative energy to attach itself to you. Mediation and prayer are also important to opening and closing your experience with the Ouija Board. State out loud that these spirits are not allowed to stay and are not allowed to follow anyone home. But the most important thing to remember is to always close the board. This can be as simple as saying “goodbye” after communicating or some with sprinkle sea salt, lavender or sage the board. It is my hope that these steps with help those who dare to use the board. As stated before you never know who you are inviting in or what they can do.